Wendy and her husband live in a small town and love to go outdoors. In addition to bicycling, hiking, camping, and traveling with her husband, she likes to spend her weekends cooking, eating, exercising, reading mystery novels, and watching old movies. Scientifically, Wendy is dedicated to understand how volcanoes work. Her lab studies how the composition of magma (liquid rock) changes inside magma chambers inside a volcano. This is important because the magma composition influences characteristics of the eruption style of a volcano. Back in sixth grade, Wendy had a fantastic and enthusiastic teacher who really sparked her interest in science. She remembers learning about marine geology and staring in wonder at a map of the ocean floor, complete with ridges and volcanoes that she had never known existed down there. A major challenge for Wendy came in the form of a computer program she was working on to simulate what occurs in magma chambers. Just when she and her mentor Frank thought they had it all figured out, they realized there were serious issues with some of the math. After many food-deprived Friday afternoons at a white board, they were close to giving up, but it’s a good thing they stuck with it just a little longer! One of Wendy’s exciting successes involved a different computer program she tackled during a sabbatical. She spent 10-12 hours per day working out some of the issues with the help of her colleagues, and they have just published a paper on this program. It has been rewarding to use the programs scientifically to understand volcanoes, but there are also promising applications too for helping to mitigate some of the tragedies that occur when volcanoes erupt unpredictably. One phenomenal experience Wendy will never forget was being present for volcanic eruptions of Kilauea and Mauna Loa during her time working for the U.S. Geological Survey. Not only was she able to enjoy the beautiful scenery of Hawaii, but she was on the ground studying active lava flows there! Wendy has met and worked with many wonderful scientists who have diverse interests outside of science, including growing orchids, playing percussion, and cycling. Along these lines, Wendy has a passion for baking, especially chocolate chip cookies. Never give up and never give in. Also never ask anyone to do anything that you wouldn’t do yourself. Wendy Bohrson is a Colorado native who grew up outside New York City. She attended Stanford University and received degrees in geology and biology. After finishing her undergraduate education, her interest in volcanoes led her to the US Geological Survey, where for 4 years she had the good fortune to work on projects on the Big Island of Hawaii. These wonderful experiences led her to pursue a PhD in geology at UCLA. She then moved to the University of California, Santa Barbara where she was a post-doctoral researcher. 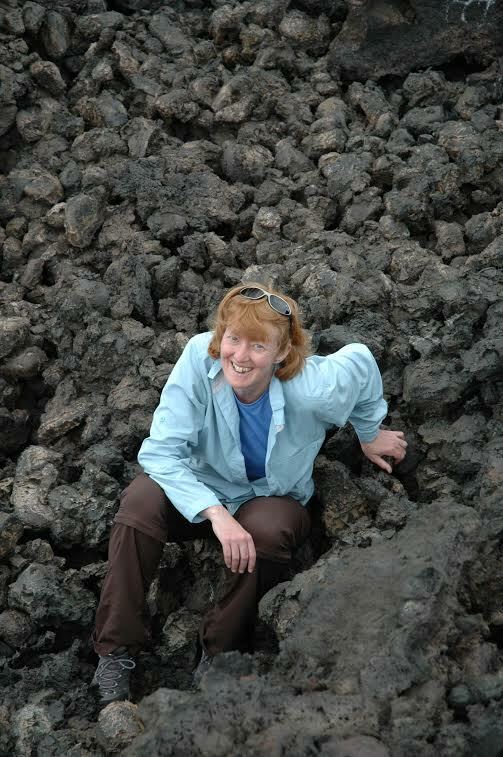 Wendy has been on the faculty at Central Washington University for the last 15 years, and with her students and collaborators, studies the compositional evolution of magmas that erupt at young volcanoes. Because of her research interests and passion for travel, she has spent time in Africa, South America, Antarctica, and Europe. In her spare time, she reads mysteries, bakes, and tries to keep up with her very athletic geologist-husband.